Foldable bikes have always promised flexibility for bikers. But most end up being far too inconvenient to ever use in a city. They are often too expensive, difficult to ride, and too big or heavy to realistically carry around with you. It seemed as if finding a bike that is small enough to be portable, and lightweight enough to be carried around was unachievable. But that’s where the aptly named the ‘impossible‘ bike comes in. 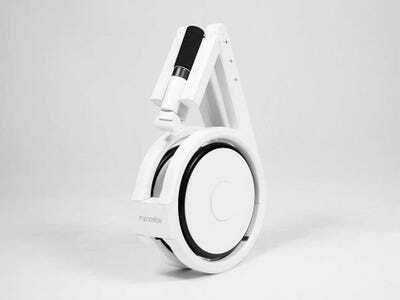 This lightweight bike can be easily folded to fit inside any normal backpack, weighs less than 11 pounds and is a mere 17 inches tall when folded, according to CNET — plus, it’s electric. 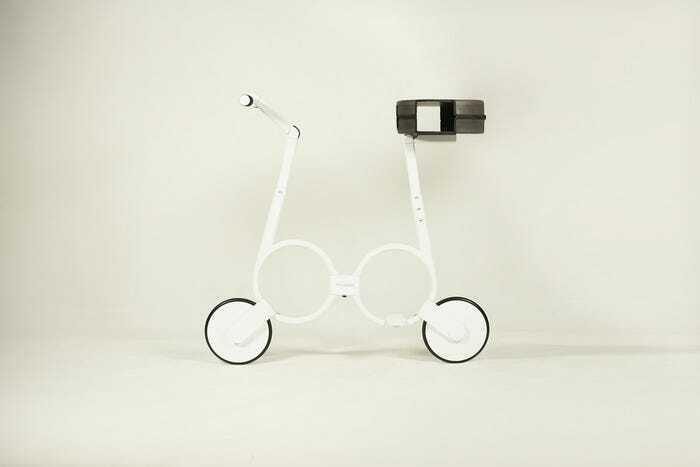 The designers of the bike realised that the only way to accomplish the challenge of making a bike completely portable was to build an entirely new bike design — one where the frame of the bike was built around circles instead of lines. The bike is made from carbon fibre to ensure that it is extremely lightweight and durable. The connecting box in the frame’s middle is made from steel so that it can actually carry the weight of a person. The ‘impossible’ even saves space by combining the function of the bike seat with the carrying case. The bike doesn’t actually have pedals, which means that if you run out of battery you’re pretty much out of luck. While this may seem like a major drawback, the designers explain that adding pedals or other chain structures would take up more space and make the bike heavier (and thus making it less portable). The bike will be built with a brushless electric motor and will be able to travel up to 12.4 mph for 45 minutes. At slower speeds, the bike can take a person about 15.6 miles before it needs a recharge, which is far longer than most urban commutes. 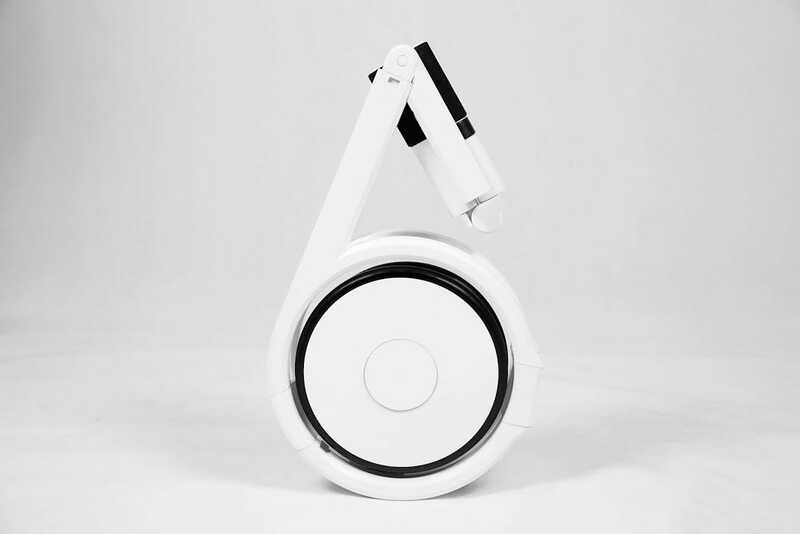 The designers will also be making extra batteries available, so if you ever run out of battery on the bike, “you always can fold it into your backpack and walk to a close-by coffee shop,” to recharge, according to the Kickstarter page. Other difficulties include the small wheels (which might pose a problem for commuters who face difficult road conditions like potholes) and that the bike has a weight limit of 180 pounds. But overall, this seems like a pretty clever design for urban commuters. It would be perfect for getting around between public transport, or just for those exhausting days when walking home seems like an unachievable feat. The ‘impossible’ will be available in three packages: white, black, and original carbon fibre colour. The limited edition carbon fibre Kickstarter model will sell for $US530 and will be shipped in August 2015. For more information about the ‘impossible,’ check out the kickstarter page here.